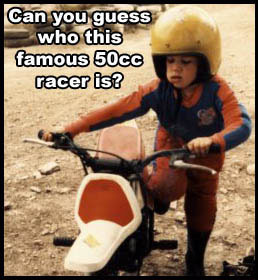 Can you guess who this famous 50cc racer is? 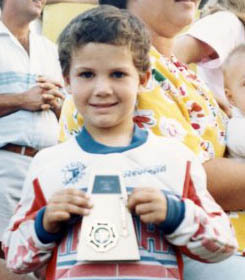 Hint for Question: He is considered one of the 4 all time greatest supercross racers in the world. Scroll to bottom of page for the answer! Since 1981-2008 the Yamaha PW50 has been the most popular motorcycle ever manufactured. 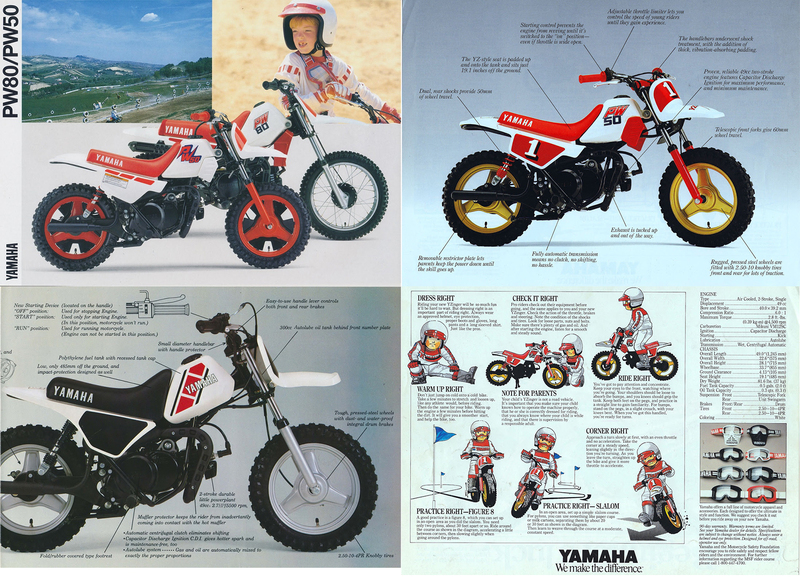 In the early 1980's it was named the Yamaha YZinger then later the PW50 name was given. For nearly 30 years this little 50cc automatic 2-stroke dirt bike has been virtually unchanged and most all parts on all years are interchangeable. 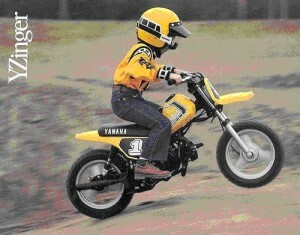 The PW50 is simply the best bike ever built for kids under 10 years old to learn to ride on. Kids are not intimated by its low 19” seat height, 10” wheels and drive shaft final drive. Parents love the adjustable throttle assembly, exhaust pipe restrictor, automatic transmission and oil injector so kids can begin riding off-road at very controlled pace. There many choices of dirt bikes designed for kids. Parents need choose a bike that is not only safe and fun for kids, but also one that is easy for parents to get tech information if needed and to purchase parts easily. Check out your local Yamaha dealer's new PW50s, and bring your kid so you can see how they fit on the bike in the showroom. For about $1,000.00 a new PW50 is still a great deal. However if you can't afford the new ones look in your local newspaper, bargain trader/auto trader, and shopper newspapers for a used one. Also check eBay and Craigslist for super deals on used PW50s. Don't be afraid of a PW that is old and tired looking; with a few bucks it could look and run as good as a new one. Used PW50s Valued at around $500 are an awesome deal, but you may also find many older PW50s for sale between $300-$700 depending on condition. 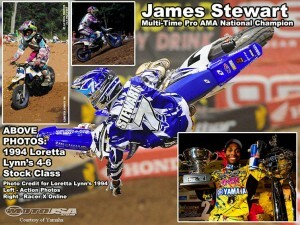 The PW50 is also the best choice for getting your child into Motocross racing. The AMA has a special racing class called 50cc class-1. This racing class is for kids to start racing with other kids that are all close in age and on similar bikes. 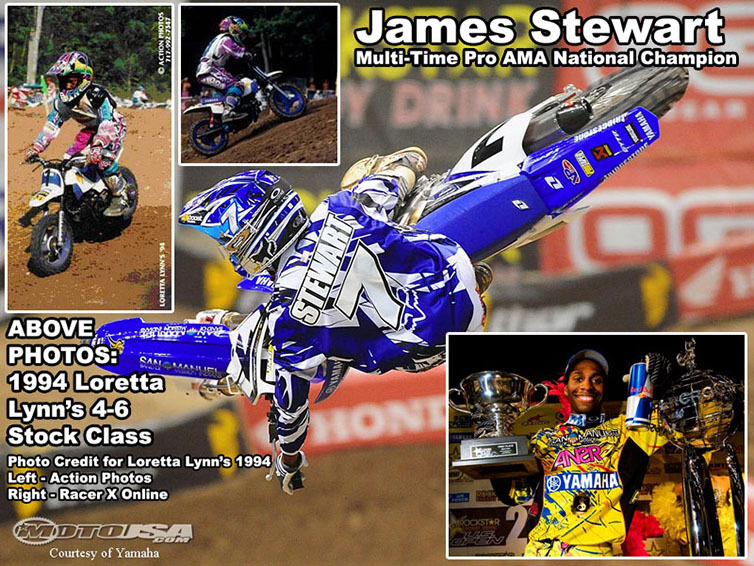 Most of today's top Pro motocross & supercross champions like Ricky Carmichael and James Stewart started riding and racing on PW50s. Our PWonly private brand parts are carefully selected by our performance experts to meet our strict standards. From cranks and pistons to plastic kits, and much more, PWonly products are a great value in high performance and OEM replacement. 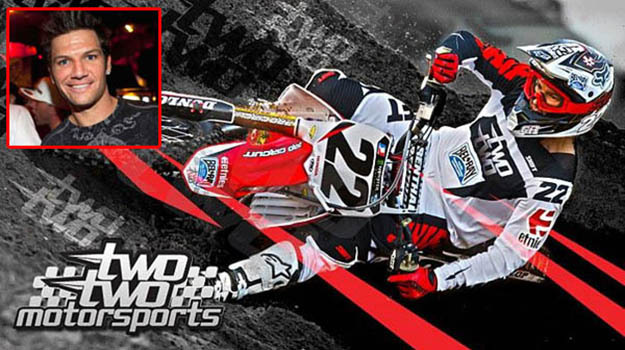 PWonly offers customers unmatched product selection and low pricing, while our excellent technical support and customer service have made us a recognized leader in 50cc motocross ridding and racing. Yamaha PW50 is the best motorcycle for a beginners bike. designed for kids up to nine years old. Easy to lean on and ride and also easy when it comes time to buy spare parts. PW 50s are very affordable to own and operate thanks to lots of on line info and supplies of spare parts. When it comes time for a performance upgrade for more power and better suspension or just some personal custom parts the Yamaha PW50 will always be the best choice for kids. 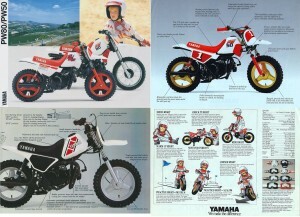 the PW50 is most popular selling bikes for children hands down. 49cc air-cooled case-reed–inducted two-stroke single. An adjustable throttle stop screw lets the adult in charge gradually increase speed as skills improve. Fully automatic transmission means no shifting required. 22mm telescopic front fork with 60mm of travel smoothed out the bumps for responsive handling. Dual rear shocks with 50mm of travel smooth the trail to deliver confidence inspiring ride quality.